It's been a while since we last posted, but we're back on board with some new interviews and posts on everything from terrain building to painting techniques. We've lined up another company profile and interview this week and we were lucky enough to chat with Lynn Mitchell from Woodland Scenics about her company and their new in-roads with the gaming community. 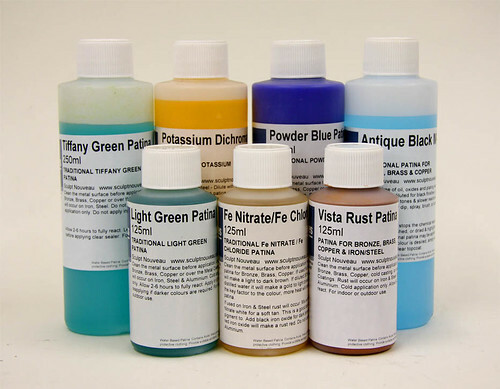 Many of you would already be familiar with Woodland Scenics products from Tin Soldier in Sydney, HobbyCo and a bunch of other places that stock their wares. Daniel: Can you give our readers a little background on your company? How it started, how long you've been operating, and which countries you export product to? Lynn: We began as an architectural and engineering modeling firm making models for national and international corporations. At the time, no commercially produced scenery products existed on the market. We made our own realistic looking model scenery using natural and synthetic products. During the summer of 1975, we displayed a sample of architectural landscape scenery at a model railroad trade show in Chicago. It was a hit, and we organized for the mass production doing business as Woodland Scenics. Our first catalog featured 28 products and our message was, and still is — it is all about realism and realism is easy! By 1981, Woodland Scenics had more than 100 distributors nationally and was exporting to Canada, Germany and Sweden. Today Woodland Scenics, located in Linn Creek, Missouri sells more than 2,300 items for model scenery, educational arts and crafts, and gravity-driven pinewood race cars. We wholesale to more than 2,000 distributors and dealers in Africa, Asia, Australia, Europe and North and South America. The success of that small sample of the most realistic model railroad scenery on the market has grown into a full-scale modeling product business. 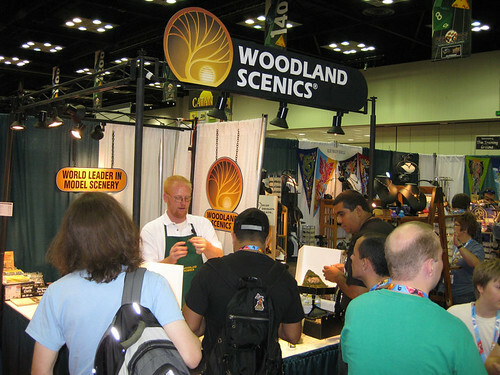 For 34 years, Woodland Scenics has maintained their reputation as the industry’s foremost innovator of realistic model railroad scenery. We continue to set the industry’s standards for developing scenery and terrain building systems and for products tested for quality and safety. Daniel: What products does Woodland Scenics specialise in? Lynn: We lead the world in manufacturing model scenery, offering complete systems for modeling—start to finish. From SubTerrain components for a layout base to terrain features and coloring systems to landscape materials and trees. 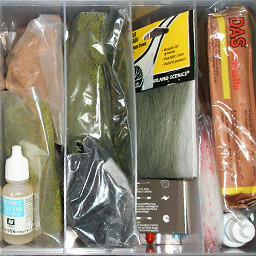 We really do have the most comprehensive collection of versatile, realistic and easy-to-use model scenery products on the market. Click here to replay video by visiting the Woodland Scenics website. Daniel: What inspires you and your team when creating new products? Lynn: Thirty-four years ago, we set the industry standard for model scenery by concentrating on high quality, realism and creating simple methods for model-making. Those are still our guiding principals. Modeling is a great hobby, and we want it accessible to everyone. It’s amazing when we get letters and pictures from first-time modelers of all ages, especially those who say they never considered themselves as ‘artistic.’ They all say how easy it was and how much fun they had modeling, and they are all so proud of their results. Daniel: Which products are you looking at marketing to wargamers and the gaming industry in general? Lynn: Virtually our entire line included in the SubTerrain, Terrain and Landscaping systems. If gamers can imagine it, they can create it with those products. They can make lightweight and realistic gaming board terrain easily, quickly and create it specific to their particular gaming board needs. Daniel: What tips and tricks can you offer our readers when using Woodland Scenics terrain products or when terrain building in general? Lynn: Our landscaping system is based on nature’s principal of contrasts and highlights. A young child would probably color the sky blue, the sun yellow and the leaves green. The real world is not this perfect, but rather it blends colors together in lighter and darker shades and mixtures of color. This mixing and blending will create the most realistic look for the layout. It may sound difficult, like something only an artist would be able to do. But, it is much easier than it sounds. We keep the modeling experience simple and constantly remind modelers that there are no mistakes when modeling scenery ... at least nothing you can’t fix. I’d like to draw attention to our Scenery Manual, a 100-plus page comprehensive guide to easily creating model scenery. It is loaded with tips, tricks, color illustrations and photos. It is very popular and most retailers carry it and it is also available through our website. Daniel: What's the best aspect of your business and the wider industry? Lynn: Our commitment to product innovation and quality is equal to that of our commitment to customer satisfaction with their modeling experiences. Every week, we hear from hundreds of customers with questions, comments, ideas and requests for additional products. We enjoy and encourage these inquiries and answer each one. We often request more information, pictures and permission to post their words and pictures on our website testimonial section or in our e-newsletter, Scenic View. Lynn: Our trip to GenCon was fantastic. The employees who attended said the gaming community was warm, gracious and very entertaining! They loved all the costumes, the enthusiasm and thoroughly entertained with the ‘larping’. I have seen the pictures from the show and heard some stories ... a great time was had by all. 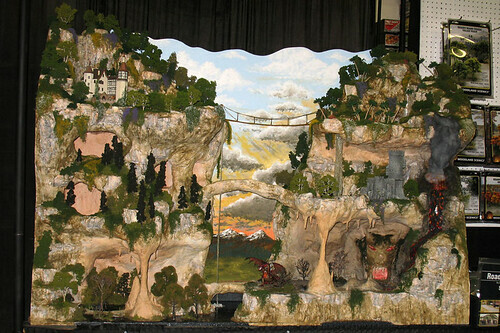 The picture below is of the giant diorama our Product Development department built for the show. It was a huge hit! Several individuals wanted to purchase it ... but it was not for sale. Our scenery demonstrations went very well, and we had a constant stream of people who wanted to try it. We had a couple of show attendees write us to tell us how much they enjoyed the demos, and were delighted to find how easy it was to create dramatic looking scenery. Check out all the free how-to videos posted for Woodland Scenics, Scene-A-Rama and PineCar. Access all videos through www.woodlandscenics.com. The website also includes loads of project ideas, tips, techniques and answers to frequently asked questions. We've finally got the interviews put together after a long hiatus! This mfxposé featured artist is Menic Rüttimann, from the menix miniatures blog. He's done some beautiful work, particularly with ancient and historical periods. So surf on over to his blog for some in-depth info. Daniel: Give us a little bit of background on yourself and where you started. Menic: Well, I was born 1970 and brought up around dad’s N-Scale Baltimore & Ohio and Western Maryland model rail-road. As a kid I glued and painted 1/72 aeroplanes from World War I and II. As a fantasy role-playing teenager I wouldn’t paint my miniatures. I thought it sacrilegious to mess up the antique flair of pewter and patina with acrylic paint! Daniel: What was your main source of inspiration for painting miniatures? Menic: Hmmm, I guess the lust for painting loads of miniatures grew slowly but economics and geography where in the way. So serious painting started in 1994. 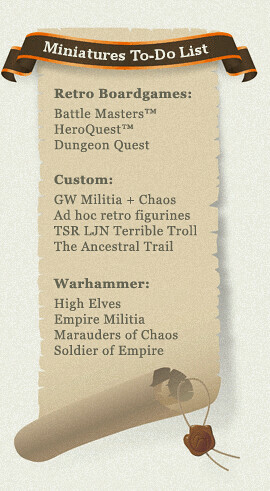 I was always interested in games of strategy and tactics and started playing the Warhammer Fantasy Battle system. I built one big Bretonnian army, always lost, but kept on painting. 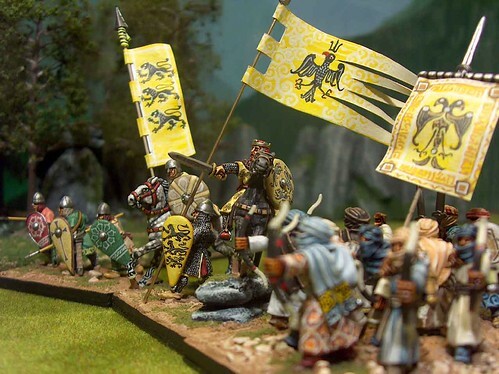 Heraldry and the realistic background of my army finally led me to historical wargaming. Daniel: What are your worst colours? Menic: I hate red-yellow colour combinations. And the worst colour to highlight is red. Daniel: And your key inspirations? Menic: Archaeology, museums, textiles. I guess everything from Art History to Architecture, Sculpture, and building decoration. Even concepts from books, pictures and Illumination. Daniel: Tell us a bit more about your passion for historical wargaming and painting this specific genre. Menic: Sure. Nowadays I build ancient and medieval armies for Phil Barker's “De Bellis Antiquitatis” (DBA) and its fantasy spin-off “Hordes of the Things” (HOTT) and I still enjoy every game. The good thing about DBA-armies is you don’t need a lot of figures. 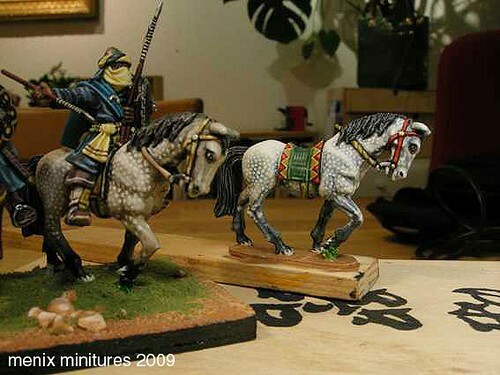 That way I can get finished in time, can use the army in play and move on to the next project and still have a life. 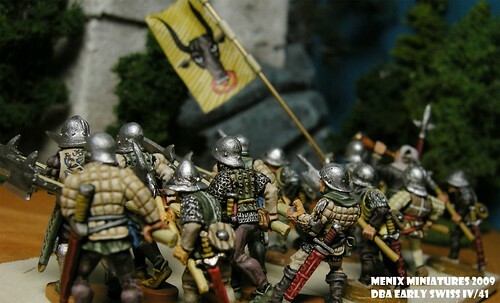 I started DBA in 2006 and can now field all kinds of medieval 10th-13th century armies and Saracen troops from North Africa, Spain, Syria and Sicily. Ancient Parthians and Seleucids are ready too. I still have a lot of painted minis which didn’t make the transition from Warhammer to DBA basing standards. Daniel: So what other sort of work do you get up to between projects? Menic: In between I paint dragons and orcs for a fantasy army I hope to finish before my son looses interest. Right now I’m halfway through with an early Swiss army. It consists of about sixty halberdiers and some skirmishers. In game it is often hard to win with them but the mass of miniatures will have some psychological impact on the opponent, I hope. Of course there is a lot of unpainted lead: Byzantine Cavalry, Turcopoles, Knights from the 13th-15th century, a pile of 15th c. Swiss pikes, a hillock of WH-Knights. My aim is to paint all kinds of special or generic troops for every army in western Europe and the Mediterranean from the 10th to the 15th century. 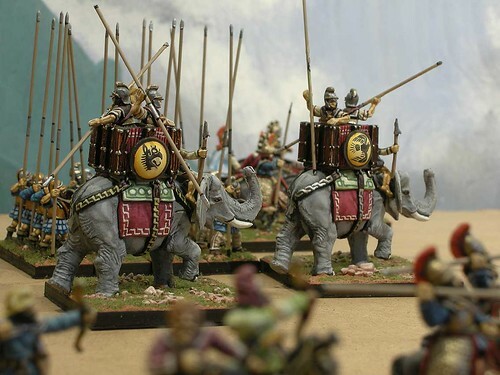 As for the Ancients, I do them in 15mm and the theme is Persia and the Mediterranean World. The 15mm stuff is still new to me but the next army will be Galatians, wild naked Celts in Turkey, haha! 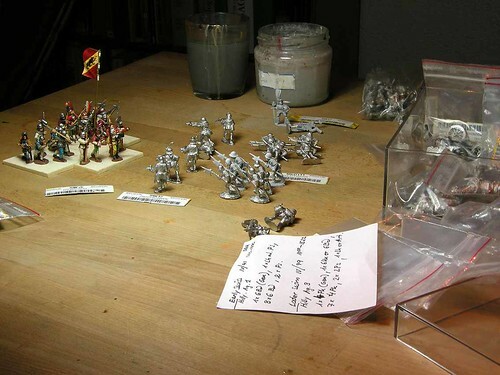 Daniel: What tips can you give our readers on miniatures painting? 1.) I try to do a clean job. This means the technical side of painting. How do I apply liquid plasticoid stuff on a metal background so it gives a neat surface and a trimmed border? I try to control the consistency of the paint. I use a lot of water, but sometimes just as much as to keep the pigment flowing down the brush. I use expensive brushes with Rotmarder-hair, size 1, 2, 3. I’m constantly fighting my brushes, I sometimes punish size one by painting intricate stuff with size three. I start with white primer and then paint the skin first, mostly face and hands. For the clothing I mix colours a lot and start with a darker middle-toned colour as a first layer. Then I paint the deepest shades followed by two highlighting layers. I use different techniques to simulate different materials: for fury textures (horses) a kind of wet-in-wet technique, or a black underground for leather and metal – which helps details stand out, Eg. belt and buckle, armour, shoes etc. 2.) I want to keep it simple. This means I try to find a useful colour scheme for the clothing. To many different colours will blur the overall appearance. I avoid using more than three. Keep an eye on alternating dark and light colours. Paint a tunic in egg shell, let it be covered by a dark brown cape and use simple colour scheme. It's realistic and always makes a good appearance on the game-board. Keep it simple also means abstraction: tricky stuff like embroideries or heraldry looks best if applied with lively strokes. I learn a design with paper and pen first. I try to break it down to basic forms and lines. As soon as I can draw it freehand I start to scale it down to the right size. Then I practice with paint on paper. After some time I feel confident enough and give it a go. Big goofs get erased with a blob of paint the same colour as the primer. The process gets faster with growing experience. 3.) I paint the light. I like to “break” colours which seem too saturated for my liking. I imagine the sun shining on these and I simulate this bleaching effect by mixing in some grey. I use the more powerful colours for rich cloaks, banners or other special equipment. For some more great tips, tricks and tutorials, check out Menic's blog. Those of you looking to try your hand at a bit of sculpting are in for a treat once again. This week we're featuring Barnes Products in our mfxposé. We had a chat to people there and have included for you some of their tutorials on using patina's and Pinkysil. Barnes Products was founded in 1986 by Kevin and Maria Barnes. Kevin had a vision to introduce the latest technologies in materials such as polyeurthan, silicone rubber, gypsum that met world class standards to the Australian Industry. Today, Barnes is run by Kevin and Maria’s daughter, Nicole Barnes, who continues to supply the highest standard of materials and service to Australia, New Zealand and many other countries. Their head office is based in Bankstown, NSW, where they do product testing and development, as well and packaging and distribution. In recent years Barnes have opened retail outlets in Newtown (NSW) and Richmond (VIC) where customers get a personalised service plus technical advice based on the vast experience of their employees. Walking into a Barnes store is like a treasure-trove for anyone into special effects, film prosthetics, miniatures sculpting, moulding and related fields. They've got a really wide range of products for a variety of different uses. They've furnished us with a couple tutorials and some details on products that would suit our miniature modelling purposes. Still, check out the website or head on over to the store as you'd be surprised what you'll come across that'd be useful for a miniature effects artist. The Barnes range of Patina’s retail between $16.50 and $33. Patina’s are used for aging metal finishes, like obtaining rust and greening finishes on metals. The great thing about them is you don’t have to start with a metal object, but can paint with a metal paint prior to application to achieve your desired effect. 3.) Once the metal paint is dry, apply Patina to your item using a spray (you can use a spritzer bottle) or brush (with a regular bristled paint brush). 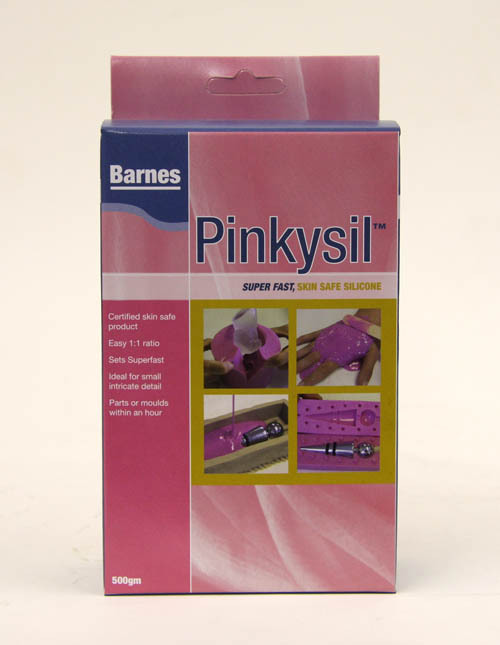 Another material which is great for replicating items is Pinkysil (RRP $35.20 for 500g). You can use it to replicate your favourite characters, buildings and other terrain shapes easily. Pinkysil is a skin safe silicone and quick setting (only half an hour). 1.) Stick your chosen item into the middle of a plastic container (a disposable plastic cup works well). 2.) Pour the Pinkysil according to the enclosed instructions. It's a simple 1:1 ratio by volume. 3.) Stir the Pinkysil until an even pink colour is achieved. 4.) Pour the Pinkysil over your chosen item in the plastic container. 5.) Wait approximately 30 minutes and then remove the pinkysil from your plastic container and remove your item. 6.) You’ve now created an exact replica mould of your item. You can use Barnes resins to make solid replicas with products such as TC808, which they tell me is ideal for figurines and prototyping. For some more great hints and how-to's, check out this link at Barnes' site. miniaturefx is your hub for reviews on products, materials and techniques for painting and creating miniature models and sets. What miniature fx creative technique do you have most difficulty with?